Our question and answer series introduces the 2016 Milestones in Mentoring award recipients. 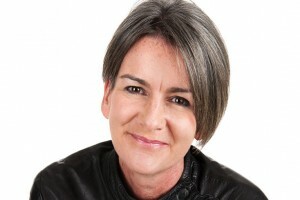 Aedhmar Hynes is the Chief Executive Officer of Text100 Global Communications, one of the world’s largest, independent, digital public relations firms that serve companies that use technology for competitive advantage. Under Aedhmar’s tenure, Text100 has grown its position as a leader in global communications and is a thought partner for more than 250 clients across the world. She oversees a staff of over 500, including 24 offices spanning North America, Asia Pacific, and Europe. Aedhmar is based in New York City and works with many of the company’s key accounts such as BlackBerry, American Express, IBM, Cisco, Xerox, MTV and British Airways. Under Aedhmar’s leadership, Text100 has been at the forefront of public relations theory and practice most recently driving Text100’s digital communications evolution. In 2011, Aedhmar received the Global Technology Award for Communications and in 2014, was named one of the top 50 most influential people in PR, by PRWeek magazine. In 2016, Aedhmar was awarded the Arthur W. Page Distinguished Service Award and was named the Plank Center’s 2016 “Milestones in Mentoring” Agency Honoree. I believe a great mentor acts as a mirror. Sometimes people believe they need to change in order to achieve a goal. But the key to achieving our aspirations is really seeing who we truly are and building on that. My role is to reflect back all the strengths and untapped powers mentees can’t initially see for themselves. It is also to help them see the gaps they can only see when they look in the mirror. My objective is to help people to tap into their inner strength, gain confidence and find the belief that anything is possible if you believe in yourself and your capabilities. Never stop learning. Keep in mind that as a mentor you have the opportunity to learn as much from a mentee as they have to learn from you. Don’t let the lack of time be an excuse for not connecting. A five-minute conversation as you are boarding a plane is as welcomed and powerful as an hour one on one meeting can be. And finally, remember that you don’t always have to have the right answers. Asking the right questions to help your mentee find the answers themselves is as powerful as sharing your own perspective. What is the key to a successful mentor/mentee relationship? The most important thing is to build trust and respect at the heart of your relationship. When trust exists, you can remove any barriers that would prevent you having a tremendous impact. I’d also say that laughter, honesty and the love of a good dirty martini helps too! Honest. Open. A friend. I hope to inspire people by ensuring they believe there is someone who has their back and will always be there for them no matter how tough the challenge. I also don’t believe that my role as a mentor just needs to be a formal one. I’d like to believe that I play an informal mentor role for my four children, for my friends and family as much as I do as part of the formal mentor program we have within Text100. We can all benefit from these kinds of trusted relationships and learn from each other. While in my head I sometimes wish I was Miranda Priestly from The Devil Wears Prada I have been told I’m more Carrie Bradshaw! Has your mentoring style changed over the years? Yes, absolutely. I feel more comfortable with my own reflection so I feel I am able to really connect in a very honest way. I know I don’t have all the answers or get it right all the time. Sharing this allows my mentees freedom to mess up, learn from it and most importantly laugh about it later. There is no problem so big that can’t be broken down into smaller parts and then addressed in order of priority. Succeeding is hugely important but succeeding with good grace and a smile is priceless.